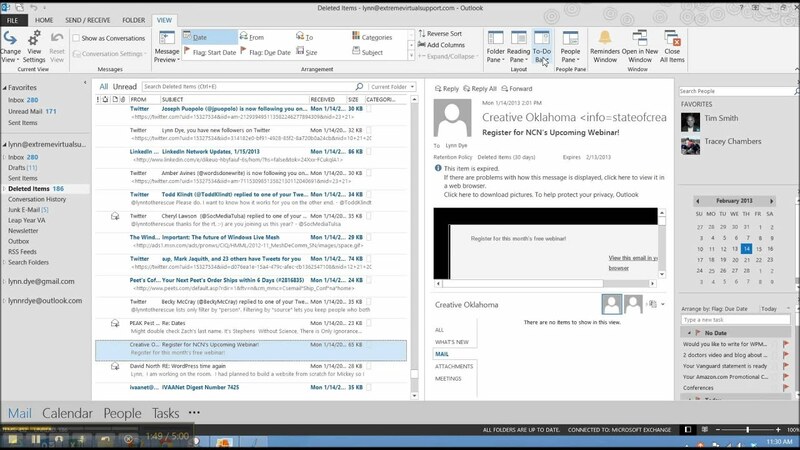 Microsoft Outlook - Part 1: This Microsoft Outlook training class introduces the interface and gets students up and running quickly working with messages, calendars, and contacts. Microsoft Outlook - Part 2: This Microsoft Outlook training class builds on basic skills in Outlook and teaches students to work with some of the more advanced features of Outlook. Who should attend Microsoft Outlook training? Microsoft Outlook training targets all individuals and companies that incorporates the Microsoft Office Suite. If perhaps you are just looking to UPGRADE YOURSELF or UPGRADE YOUR EMPLOYEES, then this is the perfect course for you. This course is intended for students who have little or no familiarity with Microsoft Outlook or more experienced Word users who want to learn the topics covered in this course in the 2019 interface. Lets get technical: Information Technology forms part of our everyday society. Keeping up to date with the latest software or hardware packages, is what makes us more competitive and marketable in managing our skillsets. Work with the Backstage View. Work with signatures and themes. Pressing [Ctrl]Z reverses many actions in Outlook. For example, if you move a message to a different folder, delete a message, or type a sentence you don't want to include in an email, just press [Ctrl]Z to undo the action. You must press [Ctrl]Z, however, before performing any other action. This doesn't work for everything (i.e., you can’t undo sending a message or meeting request), but give it a try next time you accidentally perform a step. You may be pleasantly surprised at the power of this handy little keyboard shortcut.